Imagine an afternoon wedding at an altitude of 1800 ft., or an evening dinner looking out across a sea of sparking lights. This is what it's like at the Different Pointe Of View Restaurant (DPOV). 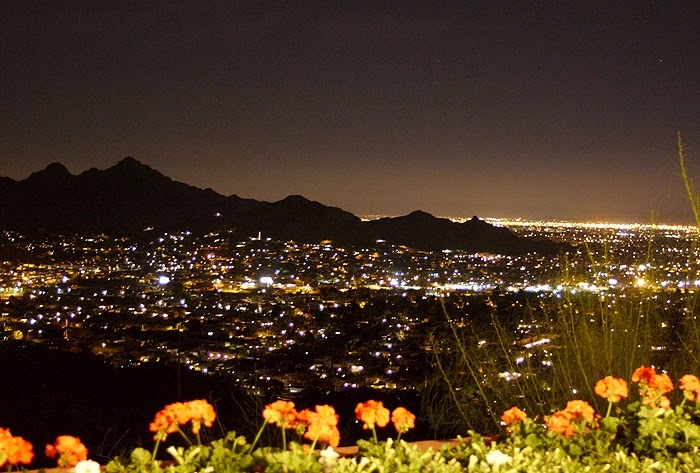 Positioned on the top of North Mountain, DPOV offers its guests a spectacular panorama of downtown Phoenix. Floor to ceiling windows bring the outside in and tiered tables guarantee there's not a bad seat in the house. The Terrace Room at DPOV offers a dramatic indoor/outdoor option for events. The diverse space is ideal for everything from corporate parties to romantic weddings. Comfortable plush seating, a full bar, built in dance floor and a 9ft outdoor fire pit make customizing your party a breeze. Dinner is equally important at this mountain top restaurant where attention to detail is key. It's little things like lint free napkins and filled water glasses that, in my opinion, make for a stellar dining experience. And the food of course. Chef Anthony DeMuro is the creative genius behind the restaurant's Mediterranean influenced menu. Based on seasonal fare that is sourced both locally & regionally, and changed 4 times per year, the focus is on creating healthy, taste good meals. DeMuro, when possible, will incorporate super foods into a dish to amp up the good for you factor. 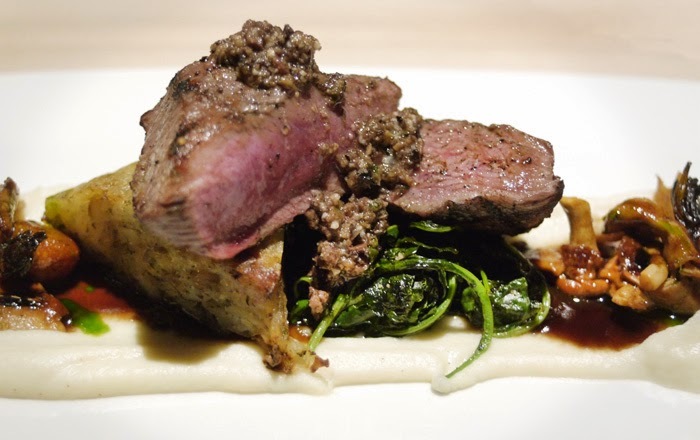 Take for example the Seared Ellensburg Lamb Loin accompanied by sauteed kale and caramelized onions all of which is sitting on an amazing celery root puree. 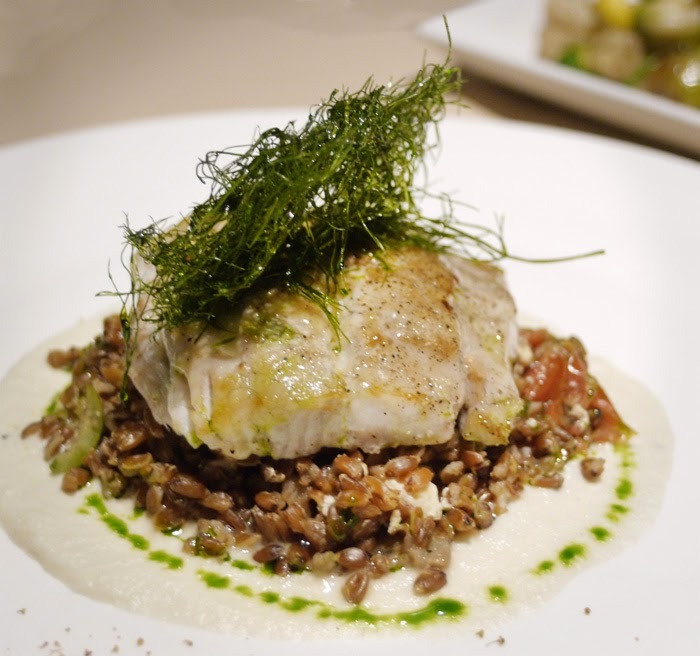 How about the Pan Seared Barramundi, a fish similar to snapper, served topped with fennel fronds on a bed of toasted faro & feta cheese all of which is surrounded by pureed fennel. Both of these amazing dinner options prove that good for you food can also be tasty. 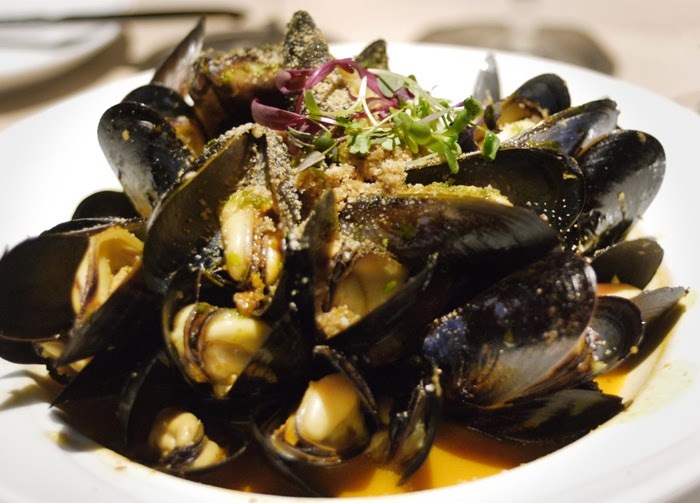 Even the tender, juicy mussels which are served with fennel sausage and lightly toasted bread crumbs are topped with micro greens; bringing an added freshness to the dish. As if Chef DeMuro doesn’t already have plenty on his plate, he also works with the local Boys & Girls Club, teaching youngsters how to cook and the importance of eating homemade fare. I think this is wonderful as it's something I am extremely passionate about. With its breathtaking views of the city, creative healthy cuisine and outstanding attention to detail DVOP makes both a wonderful event venue and a great spot for a romantic dinner. 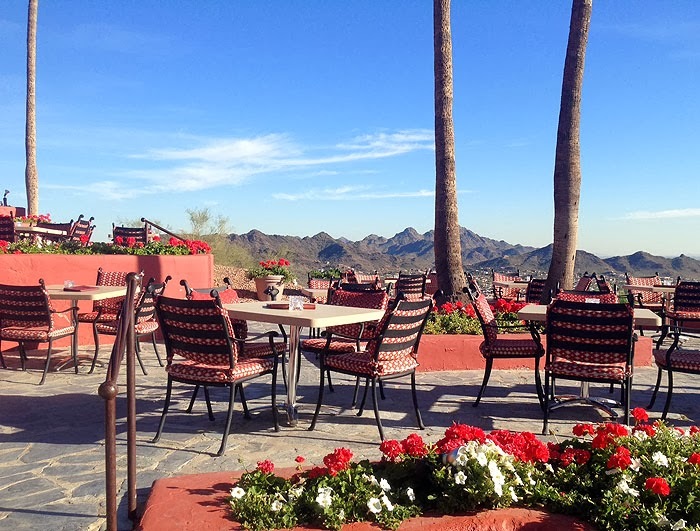 I can easily see why it's been recognized as one of the top 100 most romantic restaurants in the United States by the Open Table Diner's Choice Awards and why it continues to be a premiere dining experience in the valley for over 22 years. Atmosphere: Approachable fine dining with panoramic views of the city skyline & an expansive outdoor patio. Additional information: DPOV is open Tuesdays-Saturdays for dinner only. The Terrace Room lounge located next door to DPOV is a great spot for pre- or post-dinner drink overlooking the city.